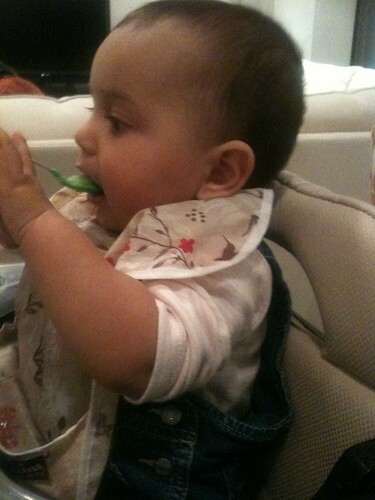 Laila eating broccoli and potato, originally uploaded by Salim Virji. Laila carefully inspected the spoon-ful of broccoli and potato before eating it. Video excerpt of her first bites of broccoli. This page contains a single entry by Salim M. Virji published on November 5, 2009 8:52 PM. Laila on the bed was the previous entry in this blog. Laila and Anna is the next entry in this blog.